Probably the story that follow is no true, i just post it because i like it but there are at least 6 people that mantein to have found the ark but no one of them could prove it. This story is intiruing and fascinating at least it is a very good sample of finction. The Bible and the Book of Mormon this is a new study,totally from the Bible, supporting the divinity of the Book of Mormon. I should like to share the facts as revealed in an address given by Jonathan Gray in a London church on Saturday 7th October 1995. a Video of which we have now seen, and also an address given by Ron Wyatt in Nashville. What had totally escaped my notice was the date. The Ark was found on 6th January 1982. exactly 14 years ago, but was kept secret by request of the Israeli Government. Although I cannot claim to have all the "inside information", I have gathered that permission has recently been granted to advertise the find, though not the exact location, and that this year is likely to be the time for the Ark. and its precious content (the two tablets of the law) to be made known to the world. Before beginning the amazing story of this discovery, I must say that the whole episode has been compassed about by miracle. God has set His seal upon this most holy artifact of the past, and shown that it has some great significance for the days just ahead, whether in fact or in type. And the impact that it will have on world Jewry can hardly be estImated. The story begins in 1978, when Ron Wyatt was swimming in the sea At Ashkelon, one of the ancient cities of the Philistines. He stubbed his toe on something, and found that it was the rim of a large pot. Further investigation revealed that it was a Canaanite burial pot, the like of which archaeologist had long been searching for but had hitherto not found. When this news was brought to the Director of Antiquities in Jerusalem, he was delighted, and the event, seemingly by "accident", proved to be the means of cementing a relationship which was to serve a greater purpose later. A short while afterwards, Ron was standing talking to the Director of Antiquities, facing the cliff known as Golgotha, or Calvary. (These words. both meaning place of skull are respectively Hebrew and Latin.) Suddenly Ron found his arm shooting out, and he pointed, saying "There's Jeremiah's Grotto - that rubbish heap - the Ark of the Covenant must be in there!" The Director answered spontaneously, "Then you must find It." But Ron was surprised at himself. He had no thought in his mind about the Ark, and couldn't understand why he had made the remark. This was miracle number one. and the Director's enthusiastic response and request for him to find the Ark was miracle number two - a most unlikely offer, seeing it was given to a foreigner, and that it Concerned THE most holy, sought-after artifact in the Jewish world. However, Ron needed to get back to the States, and so a whole year went by before he returned with two others, to begin the dig. Meeting again with the Director. he learned that the site was jointly owned by an Arab and a European. Both needed to give permission to excavate the site. Most surprisingly, BOTH gave that permission without even asking what they were looking for! This was miracle number three. And so in that year, 1979, the arduous slow job of removing tons of accumulated rubbish began. Their dig was more or less in front of the "Skull", and quite near to Gordon's tomb. Beginning at the top of the pile, they painstakingly removed load after load of rubbish, and eventually came upon a ledge in which they found three post-holes hacked out of the rock. Each of these holes was about 13 inches square in shape, and some three feet deep. Furthermore. each hole had a "plug" in the top, which contained finger holes for easy removal. It was quite obvious what they had found. It was the site of the crucifixions, the wooden stakes being lowered into these post holes, which would later be plugged until needed again. Behind the post holes was the cliff face, and at a height of about 12 feet, there were ledges cut into the rock, on which could be set the details of the crimes committed by those who were crucified. The middle one was clearly the most significant, and was reserved for the worst criminal. We read that Pilate ordered them to write "This is Jesus of Nazareth, the King of the Jews" a statement which greatly angered Caiaphas and the Sanhedrin, but they had no authority to change it. Amongst the rubbish they found several Coins, none of which was later than A.D. 130, and this showed that the site was afterwards covered up and disused. This date fits in well with history, because the final destruction of Jerusalem came after the Bar-Cochba revolt in A.D.132-135. Further excavation at this level revealed the remains of a building measuring 40 feet out from the cliff-face, and 22 feet wide, that had at one time been constructed over the central post hole. This was thought to be a chapel used by early Christians, who venerated the site of the master's great sacrifice. This idea was given further impetus by the discovery of a huge circular stone on the floor of this building, Quite near to the post hole. The stone measured 13 feet 2 inches in diameter, and about nine inches thick. It was known that stones of this sort were used to roll in front of sepuchral caves. But this one was huge! Investigation was made at the entrance to the cave known as "Gordon's tomb". which was discovered in 1882 by General Gordon on his way home from his historic Chinese campaign. He was not satisfied with the traditional site of the crucifixion, the Church of the Holy Sepulchre. founded by Queen Helena, mother of Constantine the Great, because it was WITHIN the city walls, and could not therefore Qualify as being the site according to Scripture. But the "place of the skull" was just outside the Damascus Gate. and by the highway that led to Samaria, and therefore mat all the conditions. Searching led him to the discovery of the actual site of Jesus' burial. As I said. investigation was made at the entrance to this tomb, and in the wall ware found two holes, exactly 13 feet 2 inches apart, in which metal rods were originally inserted to act as a "seal" to the tomb. The metal rod on the right. as you face the tomb, was missing, but the one on the left was still in place, showing all the signs of having been sheared off by some mighty force. 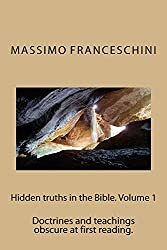 Thus far in the dig, conclusive evidence had been obtained that this was the true site of the crucifixion, and that the early church had built a chapel of remembrance over the post hold and the great stone. It had already been known that Skull Hill was the traditional site for burials, Moslem, Jewish, and Christian. and that in antiquity it was the place where criminals were stoned to death. (In the Mishna it is called "Beth ha-Sekelah", literally "House of Stoning") It was here that Stephen was stoned. Also it was the recognised place of public execution for Jewish criminals. As late as the beginning of the 20th century Jews would spit at the hill, throw stones, and curse the "destroyer of their nation." All this is clear evidence that it was the true scene of Christ's crucifixion and burial. But further investigation showed another important fact. Inside the middle post-hole, the one which was used to hold the Cross of Jesus, they found a crack on the left side. leading down into the rock. Here was the evidence of the earthquake that occurred the moment that Jesus died. This finding was of supreme importance. but was not appreciated until much later. The excavators had not as yet found the entrance to any cave that might house the Ark. The work was exhausting and slow, as lorry-load after lorry-load of rubbish was carted away. Two years went by, and the three men ware getting weary and somewhat discouraged. By this time they were digging a narrow trench against the rock face, and there was only room for one man to work there at a time. And so they would take it in turns, whilst the other two would take a rest on the ground above. Suddenly one day, when Ron Wyatt was digging at the bottom of the trench, he looked up and standing there above him was a very tall man dressed in typical flowing Arabic garments. "God bless you, Ron Wyatt, for what you are doing." "Who are you? How did you know what we are doing?" "I know it all. " "How d'you know my name? where d'you come from?" "I've Just come from South Africa, and I'm on my way to the New Jerusalem. God bless you." Ron jumped up as the man walked away. Reaching the top of the trench he asked the other two which way the man went. They said that they hadn't seen anyone. It was then that Ron realised an Angel had been sent to give them encouragement, to spur them on. This was miracle number four. With renewed enthusiasm, they hacked away until they reached a point where there were signs of a cave entrance. It was January 1982, and four years from when Ron exclaimed to the Director about Jeremiah's rubbish heap. Hastily they broke through into a cave, but the hole was too small for any of them to crawl through. Giving a torch to a small boy, the son of the Arab who was joint-owner of the land, he climbed through. but shot out again very rapidly, looking as white as a ghost. "What's in there? What's in there?" he exclaimed, and since then has refused to tell anyone what ha saw. The hole was enlarged until it was of sufficient size to allow Ron to crawl through. It was 2 p.m. on January 6th. Ron found himself in a large chamber measuring 22 feet from the entrance to the back wall, 14 feet. wide. and about. 8 feet from floor to roof. There before him were sacred items of furniture from Solomon's Temple, the Altar of Burnt offering, the Table of Showbread, and the Altar of Incense. They were covered over with skins, over which were placed lengths of timber, and on top of these were lumps of rock and stone. But Ron became aware that at the back of the cave there was something else, and it had been enclosed within a wall, so that only the top of it could be seen. As his eyes became accustomed to the dim light. so he realised that he was looking at two Cherubim with wings outstretched over the Mercy Seat. It was the Ark of the Covenant! Ron collapsed and fainted, and was unconscious for 45 minutes. Coming to, he crawled out and announced his discovery. The Director of Antiquities was informed, and he hurried to the site, and began to enter the cave, but on doing so his back collapsed and he had to be taken to hospital where he remained paralysed for nearly two weeks. He was later heard to say that he would never again try to enter the Cave and see the Ark. This was miracle number five. Ron took a Polaroid camera into the cave and photographed the Ark. On immediate development, the film was found to be fogged, not entirely but just over the portion where the Ark was. He then tried using his 35 mm camera, and when these shots came out they likewise showed fogging. Then a Video camera was used and the same effect was apparent. Some strange thing was happening to prevent the world from seeing the Ark. This was miracle number six. I have now seen the footage of this video, and all is clear except where the Ark rests, and in front of it there is a golden mist. Ron has pencilled in the outline of what he saw and the Cherubim are of human form with wings outspread over the Ark. At this stage, a Jewish official suddenly decided to halt all further work on the site. It was a severe blow, and Ron and his friends prayed that God might over-rule. The prayer was answered almost immediately, because the man had a heart attack and died. This was miracle number seven. Another man showed great curiosity and interest in what was going on, and tried to prise out of Ron what he was doing and where he was working, but Ron refused to divulge any information. However, this man was determined, and followed the party about surrepticiously until he finally saw what they were doing. Calling a press conference for 9 am the next morning, he prepared himself to blast their secret into the open. But the following morning at 8 am he was found dead in an alley way. in a pool of blood, having been shot by the PLO on some unrelated matter. This was miracle number eight. When the Jewish Authorities were told about this find, they were put in a very difficult position. They had living within the land religious extremists who would stop at nothing if they could but see the Ark, and know that it was genuine. already there had been attempts to blow up the Dome of the Rock, the Arabic sacred site which rests over the place where Abraham was to sacrifice his son Isaac. This mosque rests on the Temple platform, and many Jews would do anything to get it removed, so that they could build a new Temple on the site. The discovery of the Ark would be the greatest single event to spur them on at all costs, but would engulf the Middle East in a "holy war" of unimaginable horror and devastation. The result was that the Israeli Parliament has asked Ron to build a door to the cave, cover it with earth, and plant shrubs to disguise the site. And there it has remained for the last fourteen years. I have no idea what the Israelis have in mind for this Year, but if they decide to make the Ark Public, then I am led to wonder what will happen. Will the Lord allow it? The strange happenings thus far indicate that God is still very interested in the preservation of His holy furniture. But although we have come this far, the story does not end here. I mentioned earlier that there was a crack in the rock on the left side of the middle post-hole, a crack that had been caused by an earthquake. It was only when Ron Wyatt investigated the ark of the Covenant in more detail that ha realised what he was looking at. Right above the left hand side of the Mercy Seat the roof of the chamber shows a large fissure, and within this fissure there are copious quantities of dried human blood. Furthermore, on the Mercy Seat itself there is a large amount of dried blood. When measurements were taken, they found that the crack in the post-hole led down to the fissure below, and so it was possible for blood to trickle through. It will be remembered that AFTER Jesus had died, and the earthquake rent the rocks, a Roman soldier pierced the Lord's side with a spear. Presumably the spear entered the Lord's heart or spleen, because "blood and water" flowed out. The Lord had died of a broken heart, crushed by the agony of carrying the load of this world's sin. His death had not been the normal death of one who had been crucified. The two thieves had their legs broken to accelerate death, necessary to comply with Jewish legislation, that no man should remain there on the Sabbath, which was due to begin at about 6 pm that day. And so it was that God the Father had rent the rocks to make a way for His Son's blood to flow down from the spear-wound, through the newly formed fissure onto the very Mercy Seat itself. Now just think about this for a moment. Jeremiah had deposited the Ark in the cave some six centuries B.C., with absolutely no knowledge of the events which were to occur on Good Friday. The Romans who hacked out the post-holes had absolutely no knowledge of what lay beneath their feet, nor that they were positioning the CENTRAL hole in exactly the right place. And until the Lord had died, there was no way for blood to trickle down because there was no crack. But these Amazing coincidences actually happened. Yes, they ARE coincidences, because everything had to COINCIDE exactly for it to happen, but there was never any human design - it was entirely the work of God in Heaven, who knew the end from the beginning, and arranged for it to happen in that way. This is miracle number nine, and it is a "miracle of miracles." In Hebrews we read. "It is not possible for the blood of bulls and goats to take away sin, - - but Thou hast prepared a body for me - - and lo, I come to do Thy will O God." "By His own blood He entered in once and for all into the Holy Place having obtained eternal redemption for us." (10:4-7 and 9:12) . None of the O.T. sacrifices were able to take away sin. Only the blood of the Son of God could do that. But the children of Israel were accepted as a result of their sacrifices by virtue of faith in the spoken word of God, and the sacrificial laws. Because Jesus was the Lamb slain from the foundation of the world in God's foreknowledge. He was able to accept the sacrifices of His people BEFORE Christ came into the world. Calvary was the Hub of History. They looked forward. We look back. Each acts in faith, the one in prospect. the other in remembrance. Before Ron closed the cave, he took some of the dried blood that had been kept undisturbed for nearly 2000 years and presented it to a laboratory for testing. Using an electron microscope it was possible to find the chromosomal content of the blood. Ron described it in his address at Nashville, saying that normal human blood contains 46 chromosomes, 23 from each parent. X chromosomes are female, and Y chromosomes are male. All 23 ware present from the mother, but ONLY ONE chromosome was present, the Y chromosome. showing that the blood belonged to a male, but that HE HAD NO HUMAN FATHER. This is miracle number ten. The Lord had preserved the blood until man had the technological means of determining the chromosomal content of the blood, thereby to prove that the Virgin birth was no myth, but VERY FACT. These are the ten miracles connected with the discovery of the Ark of the Covenant. There may be others that I have missed, I don't know. But surely enough has been given to provide us all with such an amazing extra proof of our Lord's sacrifice and what it means, that all evangelism must change into top gear. I pray that this little paper may become a useful tool to use in this respect. Please feel free to copy it if you wish. There is never any copyright on any of our papers. We only ask that COMPLETE copies be made, so that ambiguities do not arise. I should now like to share another item of news in connection with the above scenario. I have a valued friend and brother in Christ who is a retired Doctor of Medicine. In an excited telephone conversation with me a short while ago he said that Ron Wyatt's testimony about the chromosomes had caused him to question whether it would be possible for anyone to have blood so depleted in chromosomal content. Being a man of faith and action, he committed this to the Lord, asking for a clear sign that all was well. He could hardly believe his eyes! The author, Philip Cohen, quoting an article by David Bonthron and his colleagues at Edinburgh university in Nature Genetic (Volume 11, page 164) explained that a certain three year-old boy had bean found whose white blood cells contain only two X Chromosomes, the signal for a female. To cut a long story short, they went on to explain that the probable cause was a self-activating unfertilised ovum which had subsequently (after a short time) become fertilised in the normal way. The sperm would then have entered only a PART of the divided ovum, thereby creating this most unusual affect. Bonthron believed that the boy's remarkable genetics depended on a number of highly unusual circumstances combining together, and occurring within a very short time window. "I don't expect we'll ever see another one. " he said. Here was yet another miracle! Our Doctor friend had been given information about an incredibly rare condition, yes, but the TIMING of the article in New Scientist was a true gift from God. The little boy's chromosomes do not match those of our Lord, but present what Cohen called "partial parthenogenesis", (parthenogenesis is the biologist's name for Virgin Birth.) however, the similarity was such that it proved the possibility of a human being existing with a considerable depletion in his chromosomal count . And finally. what about those other reported cases of the finding of the Ark of the Covenant? I have left this until last so as not to spoil the TRUE story by preluding it with the spurious. I find it interesting, Almost intriguing, to realise that Steven Spielberg's film "Raiders of the Lost Ark" should have come out for general release in 1981. I remember watching it at the time, and wondered what he was trying to say, being of Jewish origin. The supernatural affects he attributed to the holiness of the Ark certainly had their parallel in the finding of the real Ark. But late in that very year, an announcement was made by another team, saying that they had located the Ark in a cave in Mount Nebo, the mountain where Moses viewed the Promised Land before his death. This team included Tom Crotser, Jim Bollinger, and the astronaut Jim Irwin. Irwin had earlier been interviewed on BBC Television by Richard Baker. who asked him, "What are you doing now?" And amongst other things he said. "I'm helping to find the Ark of the Covenant in Jordan." But it was in the Christmas 1981 issue of Far Eastern Berean that a panelled quotation appeared, taken from the Straits Times of Singapor,. entitled "We found the lost Ark claim!" And so, on BBC 1 in January 1982 (at the very time when Ron Wyatt was breaking through into the cave) Tom Crotser was interviewed, and he showed photographs of the Ark. Furthermore there was a guarded note to this effect in the Jerusalem Post. Now we may very well ask why Crotser was able to obtain clear photographs, whereas Wyatt was not. And I shall leave it to my readers to ponder that question. Incidentally, I have not personally heard anything more about this find in Mount Nebo, except that it is sited in a position belonging to both the Vatican and the Jordanian government, the latter being adamant in refusing anyone to remove the artifact. An American archaeologist by the name of David Lutz made the following statement. "One rabbi told me this discovery would not only promote the building of the Temple on Mount Moriah in Jerusalem, but would also signal the end of the Diaspora, the dispersion of the Jewish people. It would be as influential as a spoken command from the Almighty to all Jewish parsons to coma home to the Promised Land. 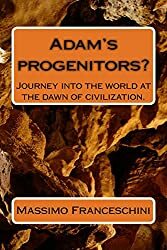 To Christians it would be a clear signal that we are nearing the end or this age and the beginning of the Messianic Kingdom." No wonder there is great excitement Amongst many people, whether they be Jews or Christians. One wonders why the timing of the event on God's calendar is just now. Are we entering the "crossroads of history"? And if so, then we shall need to know which route to take. I am in no position to Say whether the Israeli government will make a move just now. but the facts are already out And being advertised quite widely, and this in itself is creating quite a stir. It is doing to us what the Angel did to Ron wyatt - spur us on with greater vigour than ever before to be ready for the Lord's return. Many people have drawn up plans from prophecy. some say that much still needs to be done before the second coming, but in doing so they destroy the urgency of our Lord's words, "Watch and pray for you know. not the day or the hour - and again I say, watch." The interpretation of prophecy, particularly in the Christian dispensation, has never been an easy task, and we may very well be depriving ourselves of the very thing we need to "trim our lamps" and make ourselves ready. Who knows? We are living in days of electrifying excitement spiritually, and it behoves us to "love His appearing" , and "purify ourselves, even as He is pure". So what is the artifact in Mount Nebo? I do not accuse Crotser lying. He certainly found something. But what is it? My guess is that it is a REPLICA of the true Ark, made in Jeremiah's day, and deposited in the cave according to the words that are found in 2 Maccabees 2:4-8. Why should Jeremiah do this? Because he was a man of great integrity and honour towards the Lord, and he lived Amongst people, even his OWN people, who were dishonest to the Core. They would be watching his every move, and wanting to know what he was doing. This would mean that SOMEONE would find the Ark and raid it. and he didn't want that to happen. So he made a replica, and took it to Mount Nebo. In the event, even this replica has not been found until recent days. There is yet another story about the Ark which needs a mention before I conclude this paper. In 1992 Graham Hancock wrote a book, published by William Heinemann, entitled "The Sign and the Seal". 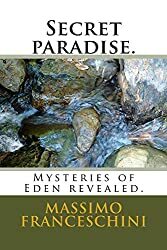 It is the account of his travels in Ethiopia in search of the Ark, which by tradition is held in great secrecy by a people who have a strange mixture of Judaism and ChristianIty. Hancock was never able to gain access to the building where this Ark is kept, and which is closely guarded by a monk by the name of Abba Fameray. The story goes that King Solomon sired a son by the Queen of Sheba, whose name was menelech and when Menelech was in his late teens he travelled to Jerusalem, and was treated very well by Solomon, who asked what gift he would like to take back with him. "The Ark of the Covenant", he said, which prompted an immediate negative response of course. Menelech was not well pleased with this refusal, and later brought several companions with him, and stole the Ark in the dead of night, and transported it to Ethiopia, where it has rested until this very day. This story may be found in the Encyclopedia Britannica and it adds that the Ark now rests in a town called Axum. This is a highly unlikely tale, and would have been a major embarrassment to the children of Israel if they found that it had been stolen. No doubt a "holy war" would Have been raised by Solomon to regain this priceless treasure. But no. There is no mention of it anywhere else. save in Ethiopia. So what do THEY have in that land, which they guard so carefully? I believe it could be yet another replica, not taken in Solomon's day, but probably in Jeremiah's day or thereabouts. Interest and excitement continues to rise since Jonathan Gray and Ron Wyatt began to publicise the results of their archaeological work of the last 14 years. Our issue No.78 has been requested in bulk by a number of sources, and others have photocopied it themselves. As a result we are now being contacted by numbers of new friends. Yesterday we received Jonathan Gray's new UPDATE, and in it he has written his own account of Ron Wyatt's work, and this we reproduce here in full, knowing that the Lord has a purpose of RENEWAL AND UPLIFT attached to the whole scenario. If you wish to subscribe to UPDATE, please contact THE ADVENT TRUTH, P.O.Box 41, Derby, DEl 9ZR, and if you phone, the number is 01332 832 808. Ask for Manjit Biant or Emma Keogh. In the course of searching for the original "Jeremiah' s Cave" under the Calvary escarpment in Jerusalem, an archaeological team led by Ron Wyatt uncovered "crucifixion cut- outs" that had held plaques for messages. The team also found cross-holes below the plaque niches. At the higher, central crosshole, a crack had opened up the rock, apparently from an earthquake. The remains of a first century building enshrined both the crucifixion ledge and a large seal-stone from a nearby tomb. Yet the purpose of the digs, the Cave of Jeremiah, still eluded discovery. As the excavation continued, a series of events transpired that, to put it mildly, were remarkable. "YOU ARE NOT TO CONTINUE." The team had now been working for nearly two years. between other commitments, they could come for only a few weeks at a time, several times a year. Nevertheless, some wonderful finds had been made, and these they had reported in detail to the authorities. Some artifacts deemed of no significant value, they were permitted to keep. But Ron was getting anxious. One evening, the boys sat finishing their meal. Danny spoke. "Well, we've explored the entire cliff-face'. There's no sign of a cave or tunnel. What do we do now?" "If the Ark is in that location," said Ron, "it will surely be hidden in a cave. I feel , impressed that we should just break through the rock of the cliffface." "But there's a problem," Ron conceded. "Do you realise how hard that rock is? It would be extremely; difficult work. We' d have to Use hammers and chisels." Danny was deep in thoouht. Then he spoke again. "OK, I'm ready. I think we should go ahead and try to break through, anyway." So eventually it was decided. After all, breaking through the cliff-face was the only option left. 'Next day, they began. To their relief, it wasn' t long before they broke through the rock into an open space. Gradually they enlarged the hole. Behind it there appeared a cave. The men crawled through the opening. Soon they were standing inside a cave about 15 feet (4 1/2 metres) high and of a similar width. "Do you get it?" exclaimed Danny. "We are actually standing INSIDE Mount Moriah! " But if they expected something worthwhile for their pains, it was not to be. Over the last two years, they had been outside, in front of the cliff, burrowing into the earth and uncovering artifacts and structures almost daily. Now they were inside the mountain , in this cavern and it was barren They felt a mild disappointment. All right, they would keep exploring. It turned out that this cavern was just a very small part of an extensive honeycomb of natural caves and tunnels inside the mountain. The next year would be spent, on and off, exploring many of these cavities. But there was no clear evidence of any human presence. To increase the difficulty these tunnels were not all connected with one another. So many hours were spent chiselling through the cave walls, searchjng for adjacent tunnels. Each time the men found such tunnels, they were empty. The following winter, as the third year drew to a close, the men headed from their homes back to Jerusalem. Although it would be cold outside, they knew that the cave system retained a year-round constant temperature. But Ron was beginning to wonder if he was wasting his time. Had he misinterpreted what he was supposed to do? He had every confidence that God does answer our earnest prayers. He had experienced so many specific evidences to answered prayer, that now he prayed again in earnest. He asked to know what to do before starting this trip. Like most of us, Ron has never heard God speak audibly. He just prays about what he should do and then sometimes receives an "impression". And this time, as he prayed, there came into his mind the assurance that he would find the Ark of the Covenant on that trip. Ron believed with all his heart that this was a true promise from the One who could make such a promise and keep it. However, things could not be worse. Danny and Ronny developed pneumonia-like symptoms and had to return home within days of each other. Ron himself was just as ill - but far more persistent (or stubborn). He kept working. Each year the team comprised many locals, who hauled off tonnes of earth and debris. A condition of the team's being permitted to excavate was that they must completely restore the above ground area before they left. One of the young locals who had proved very honest and trustworthy we shall call "Rafat", to protect his and his family's identity. Since this young man was small and slender, he was a perfect candidate for squeezing through the tight tunnels of the excavations. Exploring every "nook and cranny", the team members would follow each new tunnel. If and when they found a small opening, Ron would enlarge it enough for Rafat to crawl through. Rafat would go ahead, check it out and report back everything he saw. They followed one particularly difficult passageway which took them through a "chimney". This continued straight up to connect with a tunnel so tight that Ron had to exhale just to wriggle through. He had to stop to breathe, but when he inhaled, the passageway was so narrow, he could not fill his lungs completely. emerging into a wider area, Ron saw a tiny opening in the wall of the passage. Directly in front of the hole was a stalactite about 16 inches (40 cm) long. It almost appeared to be "guarding" the hole. Pressing his face close to the small hole, he could see nothing. Time was now taken to enlarge the hole, so as to peer in. But all he could see with the aid of his flashlight was a chamber filled with stones. These were of fist size and larger. The stones were piled up to within 18 inches of the ceiling. There appeared little promise of anything here, but Ron's plan on this trip was lo leave no possibility unexplored. So he enlarged the hole enough for Rafat to crawl through. Moments after crawling through the tiny opening, Rafat frantically came tumbling back. "What's in there? What's in there?" he cried. "I'm not going back in there." He was trembling and shaking. In his eyes was sheer, complete and utter terror. Yet Rafat said he had seen nothing! Whatever his experience, it was stark and real, since he left that chamber, and the entire cave system, never to return. What was it that Rafat had sensed? Ron would never have given that chamber another look, had it not been for Rafat's terror. Now Ron was cautiously excited. He took his hammer and chisel to expand the hole. Then he crawled through. Only 18 inches clearance - that's all he had. He lay on his stomach, inching forward with nothing but the flashlight in his hand. With Rafat's reaction throbbing in his head, Ron purposely looked at his watch. It was 2.00pm, Wednesday, January 6. The beam of light shone forward over the huge pile of rocks. Something shiny caught his eye. He began moving the rocks One at a time. It was slow work. And just under the rocks were planks of dry-rotted wood; and beneath them some dry-rotted remains of animal skins. When he moved them, the skins turned to powder. The animal skins were laid over a gold-veneered table with a raised moulding around its side. The moulding comprised an alternating pattern of a bell and a pomegranite. His heart raced. He knew what he was seeing. This was an object from the first Temple! Solomon's Temple. The space was so cramped here, he could not uncover the whole table. But he examined it closely for a long time. Eventually, Ron concluded that this was the Table of Shewbread described in the book of Leviticus - and made in 1446 BC. With adrenalin racing through his veins and with mounting anticipation, Ron scanned the chamber to see what else be could see, which wasn't much. He shone his torch around over the stones and then up to the ceiling. Ahead, something caught his interest. It was a crack in the ceiling, with a black substance within the crack. Crawling slowly and painfully over the rocks to the other end of the chamber, he saw a stone case extending through the rocks. It had a flat stone top which was cracked completely in two. The smaller section of the cover was moved aside, creating an opening into the stone case. He could not look inside because the top was too close to the ceiling. Yet be knew what was inside. The cracked part of the lid where it was open, was directly below the crack in the ceiling. And the black substance had fallen from the crack into the cave. He knew this, because some of it had splashed on to the lid. It was at this time that the pieces quickly came together. Instantly it dawned on Ron what had happened here. That crack they had found outside in the elevated cross-hole (now many feet above him) - here was the end of that crack, right here in this ceiling. And the black substance was blood which had fallen through the crack and on to the stone case. Now he KNEW the Ark was in the stone case. But the most overwhelming realisation was that Jesus Christ's blood had actually fallen on to the Mercy Seat. It was now, with this instant realisation of what had happened here, that Ron passed out. It was 2.45 pm when he came to - a mere 45 minutes after entering the chamber. But he had become the first modern witness to the most awesome event in history. How he knew why the team had needed to do those three years of excavation FIRST - before finding this chamber three years of detours which they had sometimes felt was useless. If they had at the very beginning found the correct, original entrance to the chamber, they would never Have dug elsewhere and found the cut-out niches, nor the elevated cross-hole with the earthquake crack, nor the seal-stone of the tomb. They would have entered the Ark chamber and not recognised what had happened. here. Yes, the promise that Ron would find the Ark of the Covenant on this trip, he now believed was honoured; even though he did not set eyes on it. In his frustration and complaining, Ron received another VERY strong "impression": "I only promised that you would FIND it. It will come out when the time is right." The condition of the chamber, completely full to within 18 inches of the ceiling, made it impossible for Ron to do anything else. He could not forsee any possible way to bring anything out unless the original entrance through which the objects had been taken into the chamber was found. Ron retraced his way back out of the small hole and back again through the tortuous series of tunnels. Then he sealed the passageway with a stone. Anybody looking along the passageway would think it came to an abrupt end. However, Ron could easily remove the stone when he returned. The archaeologist did not report his experience to anyone at that time. His mind was still whirring with all that had transpired. He needed time to think. His plan had been to find the Ark and bring it out, but now that appeared impossible. Later, inserting a long pole through the opening at the top of the stone case, Ron would attempt to photograph the Ark with Polaroid camera, a 35 mm camera, and video. In every case, the photos were a white-out, a complete blur. So he concluded that he simply wasn't supposed to take any photographs. (As his wife, Mary Nell, puts it, "He later understood why: at that time, he was much freer with sharing his information and this could have caused a lot of serious problems if some of the unsavoury characters he came in contact with over the years had SEEN evidence that this solid gold object REALLY existed. Remember how Noah! s wife's grave was plundered.") You're right, Mary Nell. Three of those involved in the Ark of the Covenant dig have been with me on other expeditions. One of these is Bob Murrell. Bob has helped on the Ark of the Covenant dig three times. Although Bob has not always agreed with Ron' s archaeological methodogy (and has told Ron so), there is one thing about this project that Bob will not dispute. Bob is absolutely certain that this is the Ark of the Covenant. And little wonder! Bob has seen with his own eyes the wings of the cherubim over the box. "it' s the real thing"-insists Bob. He made several more trips into the chamber. Eventually he reported to the authorities what he had found. Perhaps not able to believe what Ron told them he had found, or perhaps recognising the problems that this could cause if made known, his superiors told him not to tell anyone about this discovery. It was too late for that, since Ron had already told a few people, he confessed. Realising that "what is done is done", they then ordered him not to reveal any more details than he already had revealed. For this reason, we cannot be as specific in relation to what follows. Some time later, Ron was able to present something from the excavation to the authorities, which convinced them that he had indeed found some items from the first Temple. On one of his subsequent entries to the chamber, Ron took in a "trinkle drill" used by orthopedic surgeons, as well as a colonoscope (used. to look inside a human body). He wanted to be sure that the Ark of the Covenant really was inside that stone case. To his dismay, the drill would not penetrate the hard stone of the case. So he had to resort to his star-tipped stone chisel and hammer. He hit the tip a little, then turned the bit, then hammered again. and turned. He kept doing this until he had a hole about 5/8 inches wide in the stone case. Through this small hole he inserted the colonoscope. This had a powerful light source. He guided it down, rotating the lense until he saw what he recognised as the bottom of the crown moulding around the top of the lid (Mercy seat). Then he saw the flat golden side. The colonoscope has limitations in allowing only the viewing of a small area at a time; Also the latitude of rotation was small, so Ron could not see a great deal. However, he saw enough to KNOW this was the Ark. On a later expedition, another team member sat up by the elevated crosshole that had the earthquake crack. Ron, in the chamber, ran a metal tape measure up through the earthquake crack in the ceiling. It eventually came out at the cross-hole. The other man caught hold of it to show it had come through. They discovered that the crack extended through 20 feet (6 metres) of solid rock. The chamber itself was 22 feet (7 metres) long by 12 feet (4 metres), on two sides. The other two sides followed the line of the cliff-face, narrowing the chamber in one corner. The chamber was about 8 feet (2 1/2 metres) high, with a flat ceiling. The objects in the chamber that could be confidently identified were the Ark of the Covenant in the stone case ; the Table of Shewbread; tbe Golden Altar of Incense; the Golden Censer; and the 7 branched Candlestick holder. This latter object did not bave candles, but tiny, bowlike golden oil lamps built into the tips of the candlestick. Other objects in the cave were a very large sword; an Ephod; a Mitre with an ivory pomegranite on the tip; a brass shekel weight; numerous oil lamps. and a brass ring which appeared to be for hanging a curtain or something similar. There are more objects in the chamber, but they have not been positively identified. All these objects were covered by dry-rotted dark-coloured animal skins, on top of which were dry-rotted wooden timbers, and finally large rocks piled over everything. The Ark is described in Exodus 25: 17-21. It was made of wood overlaid with gold. The Mercy Seat and cherubim were one solid piece of gold. Various ancient accounts describe the cherubim wings as being raised above or level with their heads. Yet the word translated "upward", "onhigh", or "above" (Hebrew lema'lah) in Exodus 25:20 and 37:9 actually indicates that the wings were spread horizontally near their heads. Below is Jim Pinkoski's rendering of what Ron saw in that cave chamber. As can be seen, it does not conform to the prevailing ideas of how the Ark looked. The centre sketch shows how the mercy Seat fits over the Ark which contains the Tables of Stone. The Mercy Seat is 9 inches (22 cm) thick. The sketch in the circle below is a close-up of the crown moulding around the edge of the Mercy Seat. This is approximately 2 to 2 1/2 inches high. It has alternating bells and pomegranites. The Tables of Stone are still inside the Ark, under the Mercy Seat. 0n the back of the Ark is a small open cubicle which still containe the "Book of the Law" and is presumably the one Moses himself wrote. To the best of Ron's knowledge, the book of Genesis is not there - only Exodus, Leviticus, Numbers and Deuteronomy. The thing that amazed . Ron was that these Scrolls, written on animal skins, are in perfect condition today. The men who brought these temple objects into the chamber had sealed up the original entrance to the chamber. Close to this sealed-up entrance, Ron found a total of 7 oil lamps they had left behind. The soot on the lamps and the rocks they sat upon showed clearly the direction of the breeze that followed them into the approach tunnel. One of these lamps is very ornate. It displays Assyrian characteristics, which is consistent with the cultural influence in Judea at the time just prior to the Babylonian siege of Jerusalem. The picture (right) of this particular lamp was not taken with a camera because the design on the lamp doesn't show up well in a photo. This picture was made by placing the lamp on a copier. Ron learned the hard way how important it was to be careful with whom bo shared his information. There have been numerous experiences with people which could have led to disaster, but for divine intervention. A well-known U.S. evangelist stumbled upon these diggings one day. Believing the man to be honest, Ron told him what he was searching for and even invited him down into the cave. The visitor made big promises of assistance. Later, after Ron had gone home, a team of people associated with the evangelist came to the site, telling the authorities they were with Ron's expedition and that he would join them in a few days (which was untrue). They entered the cave system and began digging. When the cave walls collapsed upon them, they were almost buried alive. They quickly, packed up and went home. That whole collapsed section had to be re-excavated. This and other incidents led our team to seal the tunnel which led to the chamber. It would be impossible to get any large object out of the chamber through that passage, anyway. Before permanently sealing the tunnel, Ron had re-entered the Ark chamber and opened the original entrance (behind where the 7 oil lamps were found), to see if he could trace the original passage behind it to its source. On the other side of the blocked entrance he found a large tunnel which extended in both directions. But each direction was completely blocked with large stones. Which of these was the passage taken by the men, who, 2,500 years ago, put the objects in the chamber? Some time later, sub-surface interface radar would detect a tunnellike void crossing from inside the Old City to the area of the Calvary escarcment at a depth of perhaps 20 feet under the road. Subsequently, Ron found the entrance to a tunnel extending from an underground quarry underneath the Muslim section of the city. The quarry is known as "Zedekiah' s Cave". After a few feet, entry was halted by big rocks and dirt. It appeared that somebody had tried to camouflage the fact that it was a plugged tunnel and make it look like natural eart and rocks. As a last resort, an attempt was made to dig a shaft through the solid rock into the Ark Chamber. Dangerous this could be if the shaft caved in. it could damage some of the objects in the chamber. Or, after enormous effort, they could miss the chamber. But on one trip, after the main excavation team had left for home, Ron and two others began the shaft. They now used jackhammer-drills and over several trips got through about ten feet of solid limestone. But the end appeared nowhere in sight. Frustration grew from the tremendous effort and expense that appeared, to yield no results. Of all projects he had undertaken, it was on this one that Ron's sense of unworthiness was most everpresent. He was vividly, reminded of the biblical examples of men who did a work for God but at some time or other failed in some manner (as when Moses defaulted on a divine command and it cost him the privilege of leading the Israelites into the Promised Land). Ron was only too aware of how serious could be the consequences should he allow any of his actions or motivations to go against God's will. He began to wonder, had he failed his Lord in any way? Certainly God didn't need him to get the work done. He could always find someone else. It was now almost ten years since he first found the Ark. Ron felt that his efforts since then didn't seem to be paying off. Was he being taken off the job and didn't know it? Then Ron had an experience that changed his life. There were three of the team on the job that day. One was drilling the shaft. Ron was down in the excavated trench area in front of the cliff-face, working on the radar scanner. A third man was sitting close by in the shade of a large bush eating his lunch. "God bless you in what you are doing. " Ron wheeled around and saw, high up behind him, a tall, slender man with dark hair. He.wore a robe and head covering similar to that worn in biblical times, except it was all pure white. "God bless you for what you are doing," said the stranger. A surprising statement, since virtually nobody knew what he was doing. "Are you from around this area?" asked Ron, trying to be polite. The man replied, simply, "No", then remained silent. "Are you a tourist?" asked Ron. The stranger replied "No." Then more silence. Then the figure in white said, "I'm on my way from South Africa to the New Jerusalem." Ron was so startled he couldn't say anything, but just stared at him. Then again the stranger spoke : "God bless you in what you are doing here." He then turned and walked away. After a moment, the other man eating lunch (who couldn't see the visitor because of the bush) said, "Ron, do you think we've been talking to an angel?" Ron replied, "At least... " Ron was stunned. Regathering his composure, be stumbled up the bank and questioned the locals who worked along the ONLY path anyone could take into the area. "Did you see him?" he shouted. NOBODY had seen anyone of that description either enter the area or leave. The workmen and the vendors along the only entrance path, Ron knew well. There was no doubt about it - the stranger in white had been seen by no one else. Ron was glad. his lunch-eating companion had at least heard the conversation. At least he knew for sure that it had really happened. Just as Ron had silently given up... just when the cost was soaring (having to pay all the expenses on this trip, Up to $8,000 down the tube, with no apparent results)... when he was frustrated, tired and simply worn down, and had lost his belief that what he was doing was God's will... then this stranger appeared. Whether Christ or an angel, the experience was enough to encourage Ron that his efforts had NOT been in vain and that he WAS still in God's will. From that moment onward, nothing has ever dampened Ron's zeal or belief in that or any other project. You know what happened long ago when individuals attempted to touch the Ark of the Covenant. In the next issue, we shall tell you the stories of two men who recently tried to get at the Ark of the Covenant - and what resulted. Several times recently we have stated our policy about copyright. A few additional words here will not be out of place. Basically, we believe the whole principle of copyright control to be wrong amongst God's people. And yet at the same time we respect the fact that it cannot be otherwise in the climate of the present business world. The problem arises mainly when these two spheres touch. Business and profit are so much a part of today's society that they impinge .upon the senses of God's people and dull their spirits as to what is right and honourable in His sight. (a) please coPY WHOLE ISSUES rather than snippets. In this way there will be no grounds for misunderstandings . (b) please do not copy for financial gain. In other words, for either cost or reward. Freely we have received to do our publishing, and freely we give it out. Let this be the watchword for all who handle our papers. But if You have no means of copying then why not write for further copies from us. if you feel that any of our papers may be useful to pass on. Thank You for understanding us in this respect. (a) to Jonathan Gray. at P.O.Box 3370, Rundle Mall, Adelaide, South Australia. 5000. (c) to the British H.Q. of Advent Truth, at P.O.Box 41, Derby, DE1 9ZR, England, from whom the Various Videos. tapes, and books may be obtained.